Archangel Michael connects in this .MP3 Channeled Angel Message with insightful about awakening on an individual and collective scale. Alongside this message a powerful angelic frequency of unconditional love and light is being broadcast. Simply relax and listen to tune into the frequency and to learn how you can access your inner vault of soul wisdom. 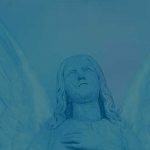 This new angel message with Archangel Michael, channeled by Melanie, is set to the beautiful meditative music of Thaddeus. Simply right click the following link to save to your computer… Ctrl click on mac, press and hold on most mobile devices. Keep scrolling down to read this angel message which is now transcribed below! Or scroll down to the very bottom of the page to access as a YouTube video! At this time I ask that we be surrounded with 100 thousand angels, with each of our guides and angels of the light, and I invite the highest, best, most loving possible channeling guide who can most serve right now. Please come in, connect, and channel through me now. Greetings dearest one. I am Archangel Michael and I am present with you now. I am pleased to connect in energy, frequency, and through this channel who receives these words as a stream of consciousness alongside her own, who has agreed before birth and consciously in this now to step back, to step into a state of love, a state of awareness and presence to receive this guidance from beyond the veil. This guidance from the angelic and spiritual realms for the purpose of reawakening humanity to the brilliance which lies within at an individual and at the level of the collective. The time is now for reuniting with inner divine wisdom, knowledge, and light. Understand at the soul level, at the level of spirit, there is much which is able to be accessed for there is much which you have already learned in alternate, parallel, past, and future lifetimes which is retained at the level of spirit individually and collectively, indeed. Through awakening and realigning more fully with love through your choices, your actions and your presence, this inner wisdom, knowledge, truth, and insight is able to be accessed incrementally when you are ready. When you are ready… We smile at this phrase indeed. For many of you are saying, “I’m ready. Open me fully. I’m ready. Align me with my gifts. I’m ready. Release all blockages, all fear, resistance, and doubt.” And yet while you speak these words and ask for this release all at once, you must understand that a level of patience is required. For while we could in the blink of an eye assist you in uncovering your full light, assist you in opening fully with the snap of a finger, with the wave of a magic wand… This would not ultimately serve you in your progression and your growth. You may open for an instant and then fall back, becoming more blocked than you were before. For to maintain your opening and awakening it must happen gradually, progressively, with experiences of awakening build upon each other. And so step by step, you open to your light. Step by step you release the densities and know that, indeed, this progression is accelerating but patience is required still. One step at a time you’re able to accomplish all feats. One step at a time. And yet it is clear from the vantage of the angelic realm that you have made much progress already individually and collectively as humanity. You have passed through portals and gateways which many in the realms of spirit thought you would not. You have made it to a point in the ascension process that the sky is the limit, so to speak. There’s no going back, there’s only going further in expanding consciously, in remembering, in opening the vault of ascension energy collectively and individually held within. There are, indeed, stores of frequency, of insight and information that become accessible to you as an individual and to you as a part of the collective consciousness of humanity when you are ready there are capsules of information which will open up before you when you are consciously ready. This is likened to the common saying when the student is ready the teacher appears. When the consciousness is ready, the vault opens. New connections are effortlessly made. The pathway is paved for one and all can follow. This is why throughout history you see innovation and invention happening at points around the world simultaneously at the same time. When consciousness is ready, the solution appears. And so to prepare yourself individually and collectively for that which you seek, for stepping fully into co-creation, into love, into positively transforming your world… prepare your consciousness. Through consciousness, progression is made available. One step at a time, one moment at a time returning to love, choosing to walk the path of love and to turn away from fear, this is said metaphorically speaking. For sometimes to refocus on love you must look your fear in the eye. You must face your fear, you must face the fear and do it anyway. Shine a light upon your fear to transform, to love your fear, to take a step in the direction of overcoming it and with a simple step of action, noticing that the fear was paper thin. And with one step in the direction of your goal, the doubt and fear drifts away. Indeed, love in the moment is the key to preparing yourself to access the information stored within you, the information of your higher consciousness and your soul which has the potential to create mass positive change, again, individually and collectively. You have already progressed far and yet you have merely taken a step in the grand scope of how far you are able to travel, of how high you are able to lift, of how advanced you are able to evolve, ascend, and become illuminated as the spiritual being that you are, as the spiritual being fully manifest within your physical being which is possible for you in this lifetime still through your return to love, through your presence in the moment, through your awakening. Further, taking your next step and out of this as you reach predetermined levels, time capsules open up before you, unlock within you the inner vault of wisdom, of frequency, of blessing is able to be released in your life and for all. And such a point collectively has been reached. A time capsule of frequency, a vault of ascension energy held within the collective consciousness of humanity has been opened and this is not the first. And this is not the last. This simply means that the pathway toward awakening has been paved this much more for the collective, for individuals, for mass consciousness. For as individuals and as humanity, you have proven through your actions and your presence, you have reached a tipping point of illustrating that you are ready to progress further in moving towards living as one, in moving towards co-creating and tipping the scales away from the previous paradigm of power and control and ignorance and stepping into truth and wisdom and divine love. We congratulate you on accessing this point. We celebrate your continued growth. We encourage you to focus within, to lift, and to experience the increased energy and light and, indeed, new dimensions and realms of experience, of your multidimensional spiritual self which you can now tune into through your open heart, through your quiet mind, through your activated spirit, through your presence, dear spiritual being. And this choice to engage in the realms of spirit, to engage in the energy of love is your next step towards opening your next vault, towards opening the next time capsules containing spiritual energy and also ideas, insight, advancement, forward, individually and collectively. Indeed. And so new levels of light are accessed now. New levels of dense, dark energy has been released. And while one may think this would lead to more effortless living, we encourage you to be patient for as the dense energy is released, that which is left pushes back. And for many of you who have become accustomed to living in the density, the absence of such may leave you feeling a bit out of balance. Return in the present moment to your center. Feel your energy gathering in the area of your heart. Be aware, breathe, and know that this presence will help get you through, will help you to progress, will help you to handle any weirdness in your world present in others for this energy may cause those who are not yet awakened to step into a bit of weirdness, indeed. Ultimately this energy serves immensely awakening for the masses is the era you are stepping into. But just as the increased light on and around the full moon can lead to a bit of weirdness, can lead to one who is close to the edge stepping over, so too can this increased light energy at this time have this effect. Return to your center. Remain present and aware. Return to love. Be in the present moment. Choose wisely your actions, your thoughts, your habits to take your next steps individually towards accessing the stores of inner gifts, potentials, the vault of soul experiences and wisdom. When you are ready for them and your individual progress prepares you as a member of the collective consciousness of humanity so too to access this inner stored information which will promote change on a global scale. We celebrate your progress and your progression. We celebrate how far you have come in this now turning the page on what has been, illuminating before you your next step personally. Your next step in aligning more fully with love, with living vibrantly, well, with accessing the inner stores of wisdom, light frequency, and divine light. As you progress on your path of awakening fully, of manifesting completely, of shining vibrantly the light of the soul and spirit that you are, the light of the divine, of your higher self and spiritual being manifest in physical form here on earth brightly shining, radiantly living, unconditionally loving, and through this benefiting all. 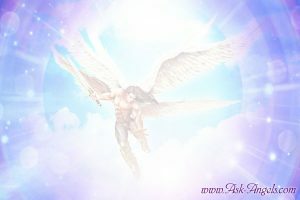 I am Archangel Michael and I leave you with my blessing, with the feeling of being unconditionally loved, appreciated, encouraged, and inspired to take your next step, to return to love, to vibrantly shine, to thrive, to live well. And so it is. Did you enjoy this message from Archangel Michael? Be sure to leave me a comment below or on facebook… I love hearing from you! I recently started using your meditations after finding your FB page. I’ve found them very helpful and useful, as well as uplifting. Yesterday I did this one, the Awakening with Archangel Michael. It was beautiful and I ended up in tears at one point. It was good to know I had made progress, as sometimes I don’t feel I have. Thank You Melanie. God Bless. Thank you Melanie for this channelled message. My angel card for today is balance and this emphasized it. That was wonderful. I get so impatient. It was a welcome reminder to know that it is better to take one step at a time then to dive off the cliff. I am grateful for the beautiful message. Thank you. Thank you Melanie! I saw vivid red at the beginning of the meditation and green, blue and white through the rest. Loved it! Thank you Melanie for providing us with these beautiful channelings 🙂 Every time I listen to one, I feel myself vibrate higher and higher. Thank you Archangel Michael for your love and guidance. All in due time for us! Melanie thank you for the wonderful messages from all the angels.Thanks to Archangel Michael for watching over us. Thank you for the beautiful message AA Michael/Melanie ! Love,Love,Love! Very uplifting, thank you. Say hello to Michael! So peaceful, so loving, thank you! I needed so much in that time the sign of the angels. Thank you, thank you … Thank you Archangel Michael, thank you Angels, thank you Melanie! I send you my thanks, love and light. Be blessed! Cara Melanie, mentre ascolto i tuoi messaggi ti sento più vicina che mai…prego gli angelo di farti arrivare tutto il mio sostegno mentre ti presti per il mio bene, che non ti facciano mancare nulla. Ringrazio l’atcangeli Michele per la pazienza che dimostra nei miei confronti loro sentono la mia impazienza quando li vorrei sentire vedere parlare tutti i giorni non mi lascio fugire il minimo bagliore. Melanie hai un dono grande e altrettanta pazienza, ti ringrazio ancora tanto…luce e amore per tutta la terra. Un abbraccio. THANK YOU, THANK YOU, THANK YOU!!! YOU CHANNELED THIS MESSAGE JUST FOR ME!!! Thank you so much Melanie,I feel so peaceful and connected with all existence. I’m sending my love to everybody! I feel like I am being spoken to on this one. Thank you for this. It goes along with what ” weirdness” that has been going on around me.